Could a sequel to the superhero MMOG be on the way? 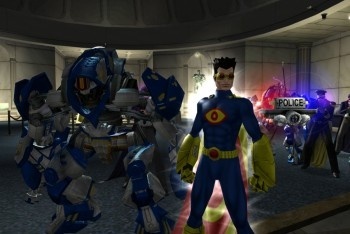 MMOG maker NCSoft has filed a trademark - two trademarks, to be precise - for City of Heroes 2, notes SuperAnnuation. That's pretty much all we know at this point. While the existence of a trademark (or two) doesn't automatically indicate the existence of a game, it's usually a good sign that somebody at NCSoft is at least thinking about making a sequel to the 2005 MMORPG. Originally developed by Cryptic Studios, CoH and its counterpart City of Villains are now in the hands of NCSoft's own Paragon Studios. Cryptic, meanwhile, has moved on to other pastures with Star Trek Online and another superhero MMOG, Champions Online. No word on a City of Villains 2, but if NCSoft does fund CoH2 it's a pretty safe bet that the bad guys won't be far behind.